Looking for free tileable denim jeans seamless fabric textures for your 3D clothes? 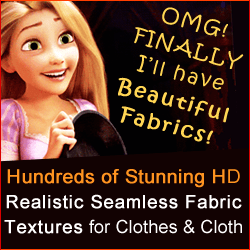 Download here free CG Elves seamless denim CG textures including normal maps. Size of each texture: 1024x1024px. Apply the normal maps onto any 3D digital clothing item to add realistic detail to your renders. You can easily change the colors of these denim jeans textures, tint the textures and even use different textures with these normal maps. You can use our free seamless jeans pattern textures in your projects and in your client projects with attribution to CG Elves. What are these tileable denim fabric textures for? 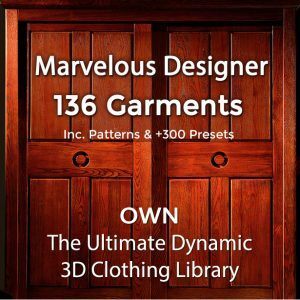 You can use our seamless denim material textures for your DAZ 3D clothing, for your Poser clothes, for CLO3D Marvelous Designer clothes, Sansar VR clothes or any other 3D clothing you make or buy for games and virtual worlds. Our denim textures can also be used for bags and backpacks as well as for denim background textures. Illustrators or 2D CG Artists can also make their creations more realistic with our textures. Some Photoshop artists use jeans textures for making beautiful jeans text styles. Check out our free texturing tutorials, on how to use our seamless fabric textures and their normal maps in Keyshot or Octane render engine. We hope you enjoy these free seamless denim textures and feel free to share with us what you use them for! P.S. : Denim has an amazing history, it’s also known as Jeans and you can read all about it here. thank you for making these tiled textures available !! You are most welcome, Mira! Enjoy.